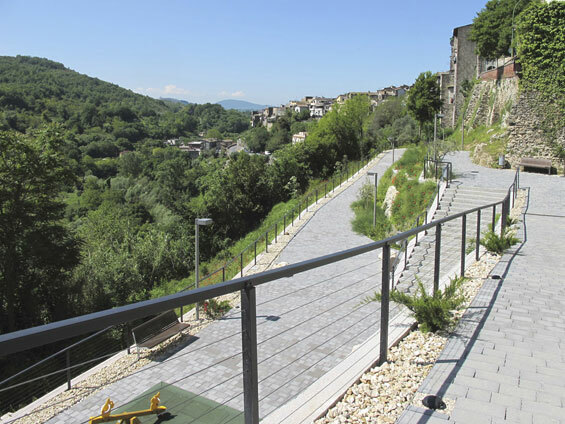 The intervention here proposed focuses on landscape restoration and design of the area between the historic town of Vicovaro and Aniene river valley, near Rome, Italy. The realized project has been very recently awarded with an Honorable Mention “Premio Paesaggio del Consiglio d’Europa 2012” because it has be considered a model for the design of degraded areas located around medieval Italian villages. The border is too often a leftover space and is, in fact a border, peripheral and unplanned, and for that reason often subject to episodes of deterioration. The “urban machine” too often doesn’t give the edge its own dignity but however it is believed that these areas have great potential for success as places of leisure, creativity, meditation, rest, silence, contemplation and reflection on a town’s own memory and identity. These functions are sometimes difficult to propose for small historical centers which are often very dense, physically and metaphorically, and do not give space and breathe to the proliferation of vital functions for a contemporary lifestyle. The project is certainly a sustainable model for the restoration of highly degraded border sites by converting them into spaces that are accessible to and usable by everyone. The project is an example of enhancing the image and aesthetic character of a place’s identity, implemented through visual relationships between the surrounding natural landscape and man-made environment, with the valley and the surrounding monuments of the town of Vicovaro. 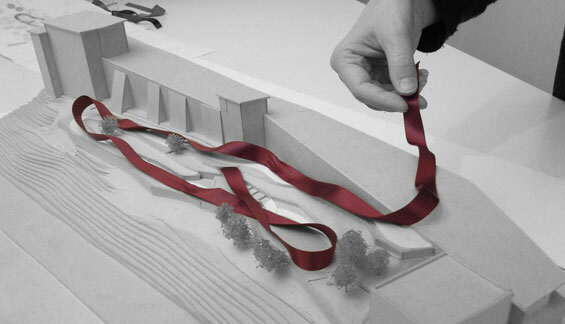 The architecture of the new walkway and public space, through the use of sustainable materials and techniques, is bound to the landscape in a unique and harmonious way. 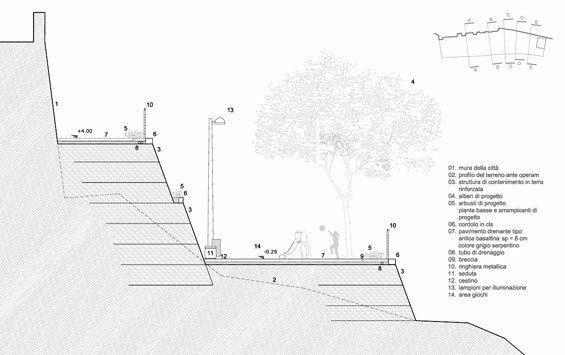 Each design element acts as a natural extension of the ground slope, never interposing as an element of closure between the two types of landscape, one more urban and the other more natural, but becoming an harmonic and non-invasive seam. This link between built and natural is very evident in the project. 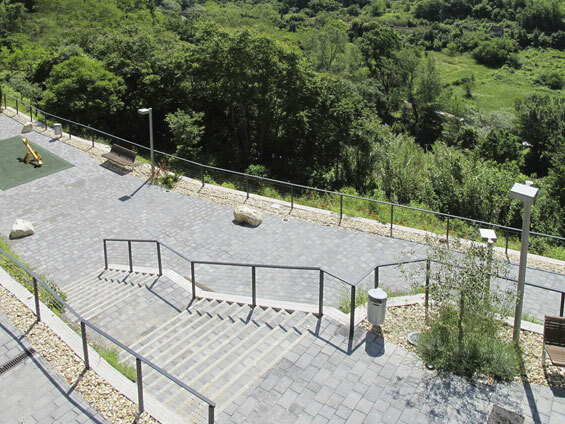 The terraces, with stone paving and flower beds, are designed to follow the existing slope and topography as much as possible. The new walls use the same materials, form, size and texture as the existing traditional stone walls. 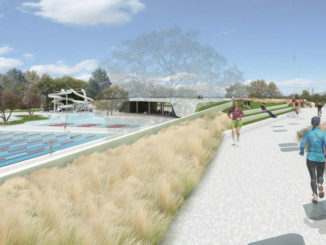 Pathways are realized with permeable pavements laid on a bed of sand. The handrails, protecting from height changes, consist of stainless steel cables, creating an intentional effect of transparency and openness to the landscape below. The project provided for the restoration of the existing stone retaining wall and the construction of new ecological retaining walls with reinforced soil (such as “terra mesh”). The works in reinforced soil are retaining elements and embankments that, through the presence of a reinforcement mesh resistant to traction, change the internal characteristics of the backfill in which they are inserted. The great flexibility of such a system allows for its use even on unstable ground, since it is able to adapt to differential settlements without compromise . 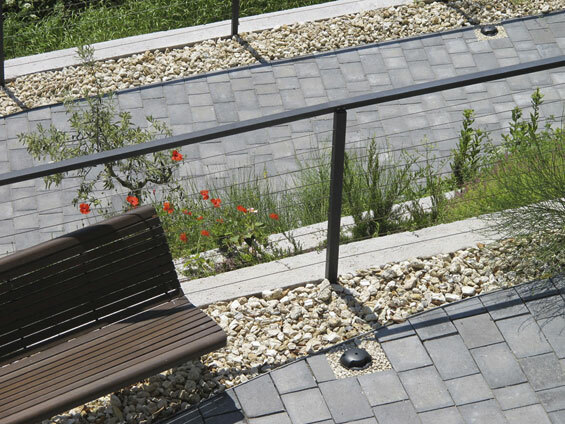 In addition to ease and speed of execution, landscape compatibility and use of sustainable materials, this system is an excellent alternative to reinforced concrete retaining walls because it promotes a natural drainage system of the soil and walkways, and of rainwater. Even the pavement contributes to such drainage with its use of different sized blocks arranged in horizontal bands and laid on a sand base without fixed joints.